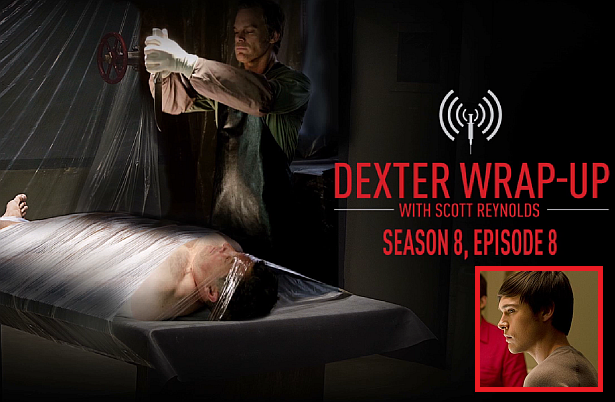 Dexter Daily: LISTEN: Scott Reynolds' 'Wrap-Up' Podcast With Sam Underwood - Episode 8.08 "Are We There Yet?" LISTEN: Scott Reynolds' 'Wrap-Up' Podcast With Sam Underwood - Episode 8.08 "Are We There Yet?" Producer and writer Scott Reynolds sits down with writer Wendy West to discuss writing episode 8.08 "Are We There Yet? ", followed by an interview with Sam Underwood. Hit the play button below to hear it!